Hello from Tampa, and Happy Friday everyone! I am writing today to reflect on a meeting I had this past Wednesday at the Sulphur Springs Elementary school. 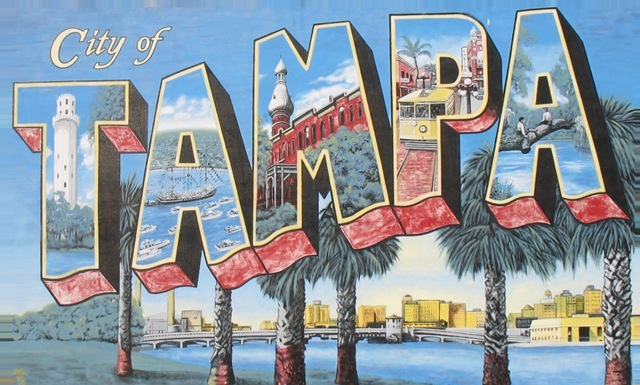 The town of Sulphur Springs covers a 1.2 square mile radius of the Tampa Bay Area with a population of over 6,500 individuals (5,562 people per square mile). According to City-Data.com, in Sulphur Springs, 40% of the population is below poverty level, and the average family of four income is $10,500. Driving through the town, it’s not hard to recognize the reality of this statistic. Broken down homes, rundown businesses, questionable neighborhoods and the majority of people on foot getting to where they need to be….this town is plagued with poverty and little opportunity. My mentor, Ali Mathe, and I went to the elementary school to meet with the director of their after-school program because we wanted to bring our Leadership Exchange students to volunteer with the children in their after-school program. The director, Jason Grooms, is a phenomenal guy doing great things for the children and the community there in Sulphur Springs, but the information he shared with Ali and I was astounding. I wish I had more detailed information about the after-school program he has been building, but we didn’t have enough time to cover all that. He did inform us that he started the program there at Sulphur Springs Elementary three years ago with only 100 children in the program. Now, three years later, there are over 300 children in the after-school program, and the strides they are making are unbelievable. They have an exceptional program called Y-Reads, and it is a one-on-one tutoring program with children that have trouble with literary skills. The Y-Reads program helps these children get to the appropriate reading and writing level for children their age. Grooms shared with us that 70% of the children starting school at the elementary (Kindergartners) are below the grading level they need to be in order to enter school. Apparently, for those in the education industry, the majority of the children that go to Sulphur Springs Elementary are considered to be in the “Red Zone”, which means they are not at the grading level they should be. How can that be? Why is it that a school and the teachers and mentors have to be the children’s safe haven? Isn’t that what home is supposed to be? ….Sadly, not for these children. These innocent children go to school each day starving because the only meal they’ve had is the meal they got at school the day before. Could you even imagine, as a child, thinking the only guaranteed meal you will receive is the meal you get at lunch time at school? What breaks my heart is that these children have no other choice….no other option. They were born into a situation they, themselves, cannot get out of. It is up to the right teachers, mentors and volunteers to educate these children, and give them opportunity they wouldn’t otherwise have. Most families in this neighborhood don’t care about the education of their children; it’s not a priority for them. Over 40% of people that live in this neighborhood never even completed high school. Why would they care if their children did? I feel like I could go on about this for days, but I needed to get some of this off my chest. There are so many stupid, insignificant and unimportant things our government is working towards, but the education of these children in Sulphur Springs, and children in other cities nationwide, are forced to suffer. I understand it’s hard to fix the problem because the problem isn’t the children; it’s the families and the community. But, we need to give these children as much opportunity as possible to break this never-ending cycle they were born into. What an important post. We are talking about the fundamentals here. Education is where it all begins and I’m happy to see there’s a force behind this community. We don’t all hold the privilege of a safe environment and a sound education, but for those of us who do, it is up to us to fight for equal opportunity.